SAN DIEGO, Calif. /California Newswire/ — As many North Americans are purchasing vacation homes, and retirees are choosing to move to tropical destinations full-time or part-time, Belize is quickly becoming the top choice for home buyers, says Legacy Global Development. Many investors are jumping on this growing real estate trend and turning to Belize. Buying a home in Belize presents an investment opportunity for those who want to buy in early, especially as Belize’s status as an up and coming destination is rapidly gaining in popularity. Robb Report, Forbes, Los Angeles Times, and others have recently named Belize as a top Caribbean destination for 2019. There are several reasons why Belize is so desirable to investors. There are low property taxes, and no estate tax or capital gains tax. Additionally, assets are protected by British Common Law. Belize also allows 100 percent foreign ownership of property and businesses. Legacy Global Development’s Orchid Bay, Belize community is currently offering incentive programs for new home buyers, which are attractive to investors and makes owning a home in paradise highly-accessible and practical. The Rental Program offers Orchid Bay investors a 3-year rental guarantee and handles all marketing and logistics, so owners can sit back while automatically generating revenue on their property. Legacy also recently announced the Paradise Retirement Plan, where owners can buy their home years prior to retiring. Then they can offset the cost of ownership through the Rental Program until they decide to move to Belize full-time. Once moving to Belize, retirees may be eligible for Belize’s Qualified Retirement Program (QRP), which allows them to bring in $15,000 worth of personal goods tax-free and pay no Belizean taxes on any foreign-earned income. One of the biggest reasons Belize is so inviting to Orchid Bay investors is that English is the country’s official language, so all real estate contracts are in English. Belize is also very accessible as it’s only a 2-hour flight from top U.S. cities, very close to Mexico, and US Dollars are accepted everywhere because Belizean currency is pegged to the USD. Belize is one of the few safe, tropical destinations that has preserved its gorgeous environment, unique wildlife, and exotic culture. Located in northern Belize, Orchid Bay is a gated, master-planned community situated on a 114-acre site in the Bay of Chetumal. It combines North American comforts with a spectacular Caribbean setting. The development was influenced by innovations in community design that reveal small-town accessibility, connectivity, and convenience – all with respect to the natural environment. The master plan calls for a series of canals and basins for easy navigation around the community, first world infrastructure, and 40 percent green space set aside. The community is comprised of Beachfront Condominiums, Casitas, Waterway Villas, Bungalows, and home sites and lots where Orchid Bay investors can build their own custom home. On-site amenities include the Tradewinds Beach Club and Restaurant, as well as a grocery store and medical clinic, both of which will be opening soon. Orchid Bay offers many activities and tours for its residents, all with easy access to the best of Belize. 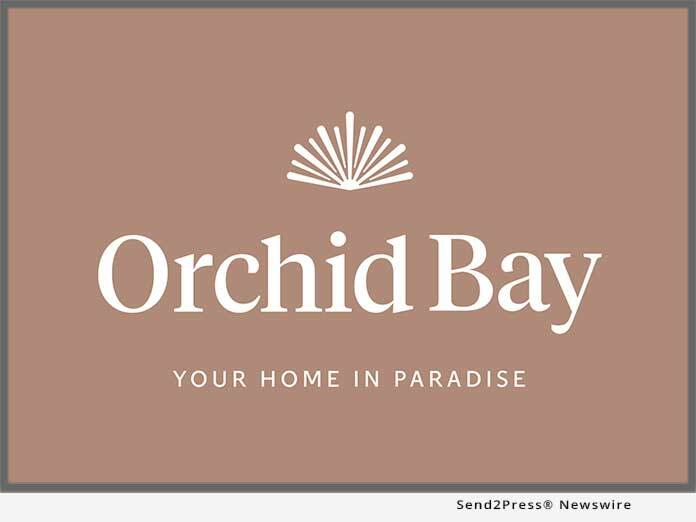 Potential buyers are encouraged to book a Discovery Stay at Orchid Bay. This epic 4-day, 3-night vacation allows those who are interested to view the property and experience the Orchid Bay lifestyle firsthand, as well as take part in the fun and adventurous activities Belize is well-known for. The tour is booked by a Legacy travel agent who handles all logistics for guests, along with booking roundtrip flights at times which are convenient to each person’s schedule. The Orchid Bay Discovery Stay is $1,999 per couple, inclusive of all food, drinks, excursions, and in-country travel. To learn more about investment opportunities at Orchid Bay, Belize or to book a Discovery Stay, contact Legacy Global Development today at (877) 959-9646 or hello@legacyglobaldevelopment.com.